Choose our Kid-friendly Shore Trip to Pompeii & Amalfi Coast if you are on a cruise and you want to experience a private day tour on the land. 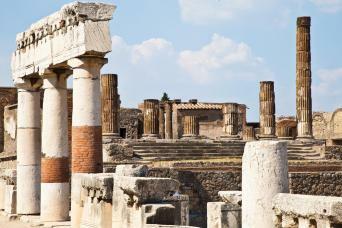 Our private driver will pick you up directly at the end of the pier to head to Pompeii on a luxury car or minivan. Once in Pompeii, you will visit its unique archaeological area escorted by a kid-friendly private guide to entertain your little travellers throughout the tour. Then, you will stop to some gorgeous villages on the Amalfi coast. Fun is guaranteed for the whole family; just choose our Kid-friendly Shore Trip to Pompeii & Amalfi Coast! Our Kid-friendly Shore Trip to Pompeii & Amalfi Coast gives you the opportunity to visit some of the most beautiful places in Italy while you are cruising! Just stop for a day and let us arrange the best shore trip for you and the rest of your family. This tour is completely family-oriented, so that it will be neither tiring nor boring for anyone. Even the private guide you will get in Pompeii is child-friendly! Your kids will be engaged the whole time, and the whole family is going to have such a great time together! Your kid-friendly Shore Trip starts from Naples Port, just as your ship docks. 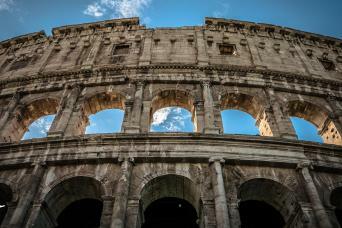 Your private driver will pick you up with a minivan at your cruise line terminal and drive you to Pompeii, where the whole family will have fun learning roman history. This first part of the tour includes a child-friendly private guide, who will be using visual aids and other tools to entertain your kids and provide you with the best family experience ever... Ruins will literally come back to life! You will learn about gladiators, Roman Pompeian daily life and traditions, as you walk along the ancient city of Pompeii with beautiful frescoes, Roman baths, squares and taverns. You will be blown away by how well-preserved this village is... Ask your guide why; it is a very interesting story! 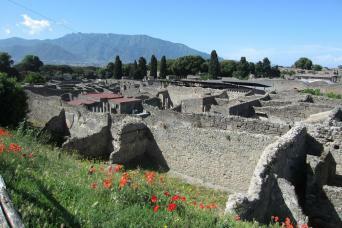 Your will leave your guide in Pompeii to be driven around the marvelous coastline with breath-taking views. The whole family will be able to stop for pictures and visit some charming villages along the coast. Amalfi is the main city, which the entire area takes its name from. Positano and Ravello are two gorgeous seatowns nearby, which are among the best touristic places in Italy. 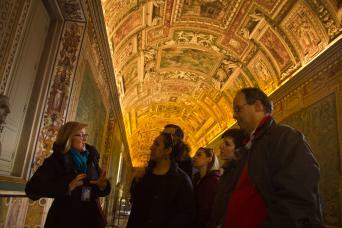 Being it a private tour, the itinerary can be customized at your own peace. We really want to give you the best family trip ever, and this is what you will get. Parents and kids will have great time, guaranteed! In the summer we highly recommend to bring with you your bathing suits! Along the way you will pass several beaches... Why don’t you plunge into the beautiful clear waters of the Amalfi coast? Whether you come in summer, winter or whatever, this tour will simply amaze you. Do not miss the chance to live the best family experience on a shore trip, perfect for parents and kids to have great fun together... Choose our Kid-friendly Shore Trip to Pompeii & Amalfi Coast!